One of the problems with skating in and around Halifax is finding somewhere flat. Here are some suggestions for places to skate. If you just want to skate without playing around you could try Calder Holmes park in Hebden Bridge. The path around open grassed area seems flat enough. Calder Holmes, Hebden Bridge. The skate area is quite extensive and well used, though I’ve rarely seen anyone wearing skates there. Most ride scooters, boards or BMX. Construction is concrete and there is a good variety of half pipes, ramps, grind rails and blocks. 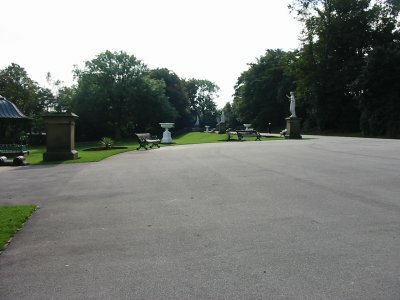 Wellholme Park, Brighouse. Last time I was there they had a 2m half-pipe, two 1.5m quarter pipes, two grind rails, a grind box and a 0.5m flat ramp. The surface isn’t great. Centre Vale Park, Todmorden. Only passed through one. I think the ramps/pipes were a timber construction, all fairly small stuff. Crow Wood Park, Sowerby Bridge. Fell trying to drop in here and then went to hospital to see if I’d bust my wrist (I hadn’t). Grotty. A 1.5m and 1.8m quarter pipes and two rails. YMCA, Halifax. Hold skate sessions for kids on Friday evening and Sunday. As a parent you can skate with your child/children. This is an ideal way to have a go to see if you enjoy it. More information can be found on the Halifax YMCA.